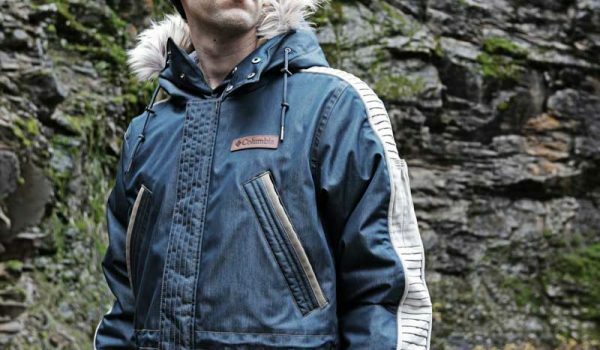 Insulated jackets can be hard to specify, especially as technical fabrics become more sophisticated in terms of weight, durability, and moisture control. 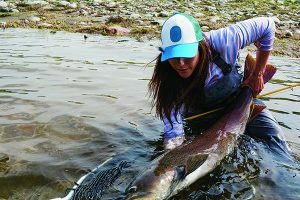 Outdoor brands have an array of materials from which to choose, a lineup of nylons and polyesters that can breathe and insulate at levels not possible even a few years ago. For example, water-repellent down came on the market not long ago. It’s now virtually ubiquitous. We divided our testing categories into lightweight insulated jackets and winter insulated jackets, or puffer jackets, for both men and women. 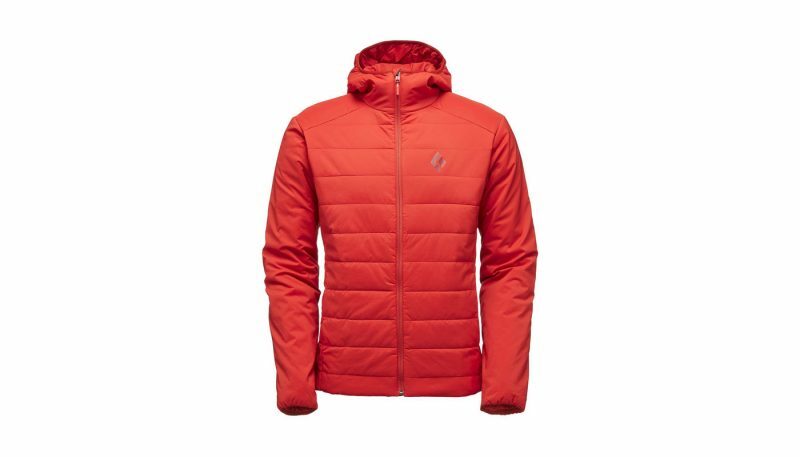 We avoided dividing jackets based on types of insulation (synthetic vs. down) or their marketed titles (belay jacket, hoody, insulator) to base the competition on a jacket’s most obvious use case. The Eddie Bauer BC DownLight StormDown is a versatile, wet-weather ready winter jacket good for trips and activities where things may get bad, but not extreme. The fit stands out when worn over midlayers and the array of pockets and features make this jacket ideal for those who live in urban environments that aren’t known for pleasant weather. It’s heavier than it looks and it's priced at a point to be attractive in this category. 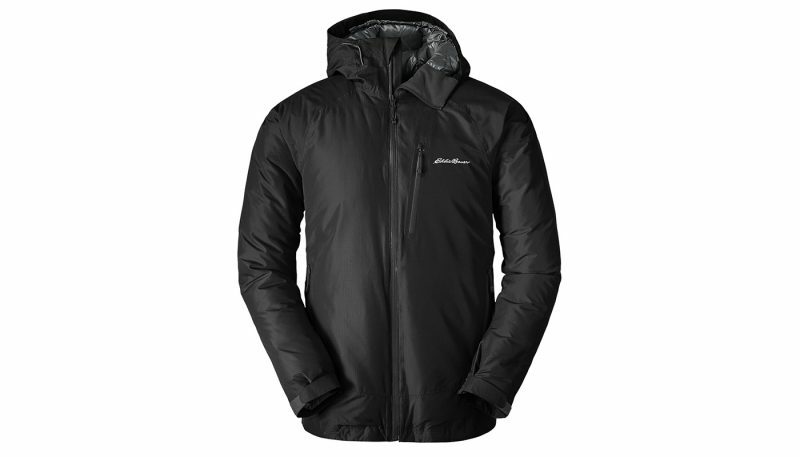 This is a jacket ideal for the beginning mountaineer, backcountry ski tours, and guides who understand how to manage their temperature when active. 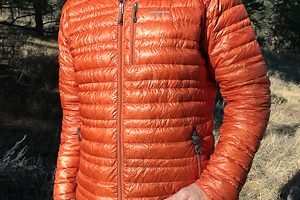 The Big Agnes Fire Tower Belay jacket is fat, warm and will give users plenty of reasons to not want to take it off. While it wins on warmth, the jacket’s thin shell lacks technical treatments to withstand consistent moisture or wear and tear. Thus, this is ideal for cold trips out to the hut bathroom or when moving slowly along the rope-line during moderate ascents. It has a hood that embraces the skull in a hug of comfort, and overall, can be a go-to external piece for any time you’ll be stationary in very cold, dry conditions. Finding what’s right for you comes down to knowing your needs, and you should know them well. After all, you can’t be caught high in a hail storm and hope to manage your temperature with only a lightweight down hoody. Then again, there’s no need to lug a 900-fill power down parka on a fall backpacking trip. For example, the majority of mountaineers know that the Arc’teryx Cerium LT won’t serve them as an exterior shell at 5,000 meters. However, the Eddie Bauer BC DownLight StormDown is well-suited to protect and insulate in such conditions, whereas the Cerium would make for a smart mid-layer. 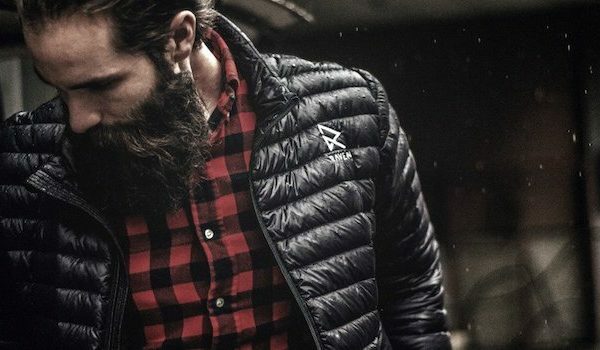 Additionally, as moisture-resistant down has considerably closed the gap in terms of insulating when wet; and that synthetics are closer than ever to emulating down’s packability, we believe that buyers aren’t looking for one or the other, they simply want a jacket that is warm and versatile. 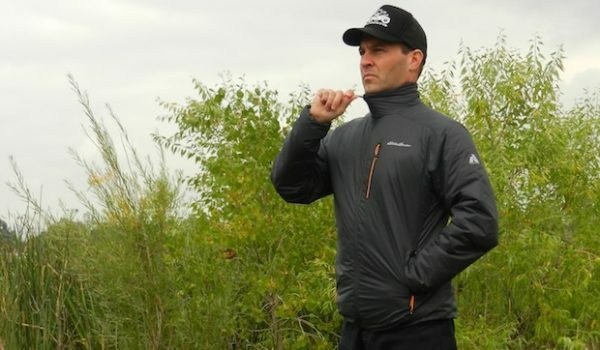 Below we break down our sub-categories of insulated jackets as well as provide a guide to help you find the right kind of jacket for you. 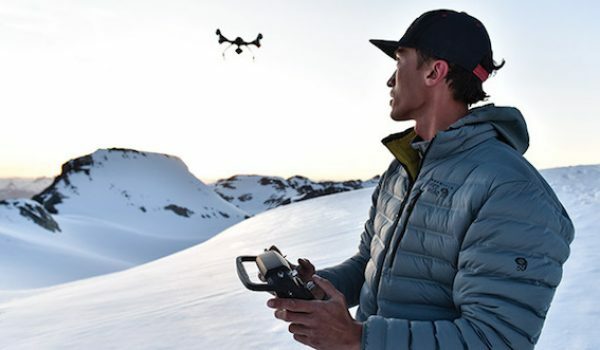 Once you’ve checked out the below, click into our tests to find the jacket with the features and specifications best for what you’re doing. 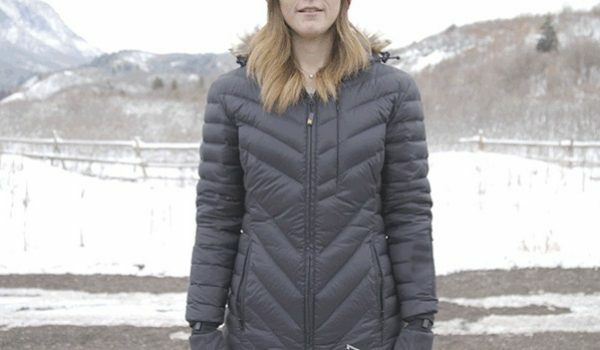 Jackets herein apply to a range of use cases and are often worn year-round in much of the mountain west. 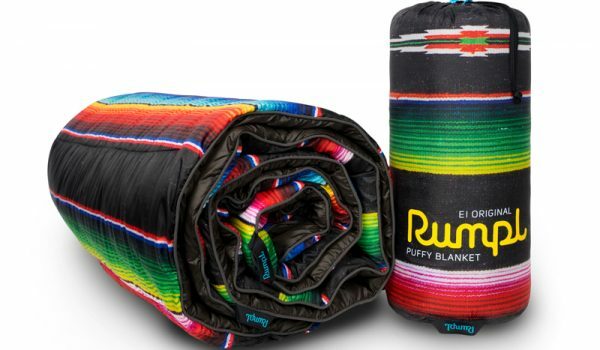 They can insulate against cool foggy mornings, pack away during the afternoon, be unfurled in seconds for an extra layer around the firepit or for a walk across town or through the park. 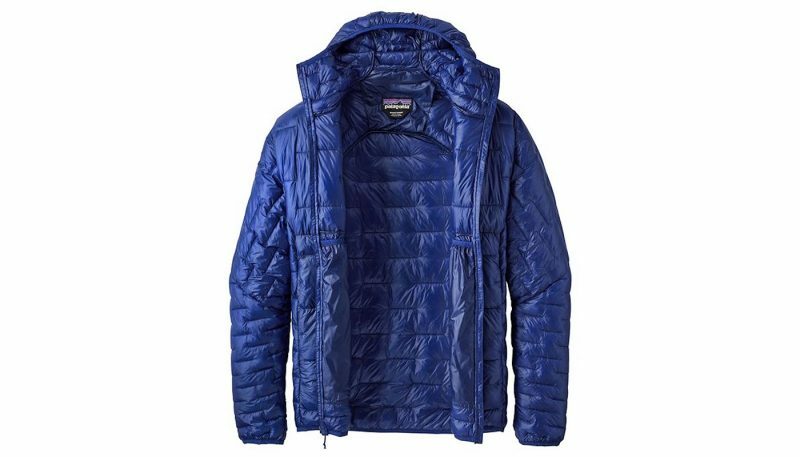 Nearly every outdoor brand that sells apparel has at least one lightweight insulated jacket in its line-up if not way more. The big names make multiple models, stretching their product lines from alpine to street style often taking a single model of jacket and providing variations from the basic bomber jacket to a vest, hoodie, or pullover. Winter is when an insulated jacket truly has to prove itself. Coats in this category are often designed to work with other layers, stand-up against stiff winds, and serve as serious protection when the frontcountry is a three day trek away. 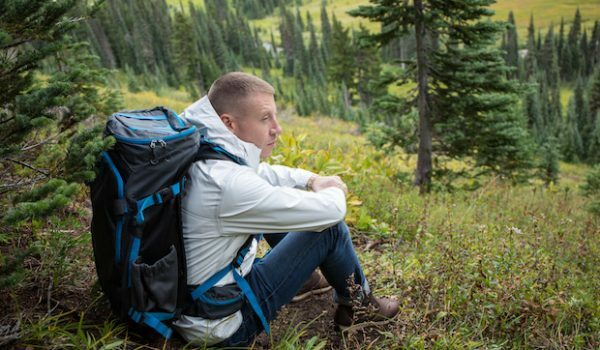 These aren’t the jackets you’ll take backpacking to combat brisk mornings, but fabric and fill technologies are getting advanced enough to make 900-fill jackets more packable and versatile than what mountaineers a decade ago could have imagined. Expect to find this category more expensive because of the volume of materials used in construction, in addition to increased down power ratings and advanced weather-resistant coatings. 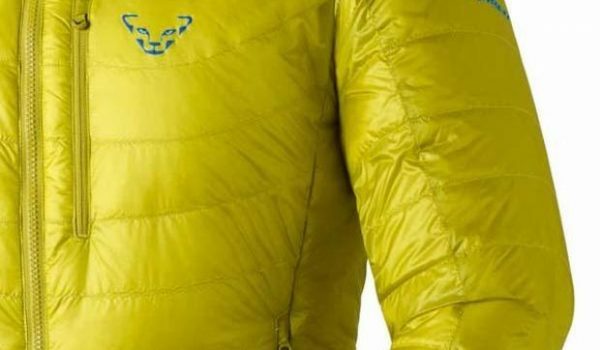 For both categories of jacket, the following breakdown should provide a hearty rundown of what to weigh when trying to find the right insulated jacket for you. Consider first the majority of conditions in which you’ll be wearing the jacket. 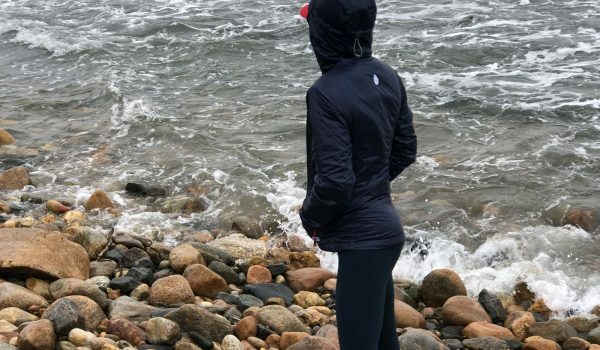 If the intent of the insulated jacket is to protect against moderate precipitation and shoulder season climates, and you expect to be only occasionally stuck in bad weather, most three-season, lightweight jackets will work. They’re portable, plenty warm, and tend to come with enough features to fight off most conditions. However, if you know you’ll be in the thick stuff come your next trip, whether it’s snow and ice or rain and cold, or both, consider stepping up to a winter insulated jacket. They’re heavier, treated with burlier DWR coatings on tougher, more wind-resistant fabrics, and are meant to layer over the top of thicker midlayers. Budget is clearly a concern for all purveyors of outdoor gear. 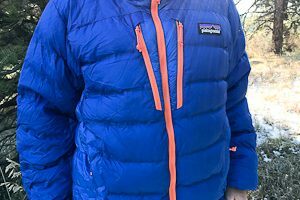 This is especially the case in this category, as lightweight jackets can fall down the mid $100s and big, burly insulators can set you back well above $400, often more. Thankfully, manufacturers make fairly clear feature delinations when moving up the price scale. 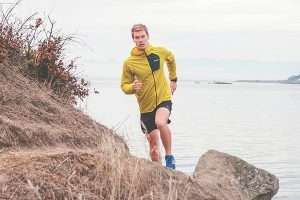 A hooded jacket will cost more, for example, as will one with a naturally water-repellent shell fabric, as opposed to a nylon treated with a DWR coating. How a piece of apparel fits seems like an obvious factor for buying. There are nuances when it comes to insulated jackets, however; for example: how well does it cooperate with layers either under it or over it? Some jackets are bulky, even those meant for moderate conditions. If you’re okay with that, and you need multiple layers, that could be a consideration. Keep in mind that many jacket brands are making products in “athletic fits,” meaning they’ll hold tighter to the torso and around the waist than you might realize. It’s also wise to bring along a pair of your gloves to the store to test how the cuffs, zippers, and various adjustments work with both heavy and lighter weight gloves and mittens. While to some extent this overlaps with conditions, it helps to know the primary activity driving you to purchase a new insulated jacket. Are you planning a summer roadtrip of climbing in the northern Rockies? Thus, you’ll need something portable, packable, and versatile. 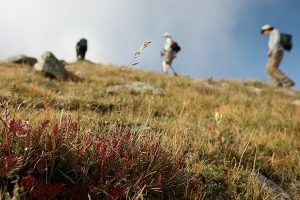 Planning a CDT thru-hike for next year? The same probably applies. Jacket manufacturers were at one time trying to nail down a specific activity and make a jacket to match it. Thankfully, the fabrics and insulations became sophisticated enough, fast enough, to apply to a number of use cases. Still, we don’t all do the same thing, and don’t all need the same jacket to do it. If you need something for walking to work or waiting at a bus stop, then something less technical in looks and features might suit you. Your options are many. 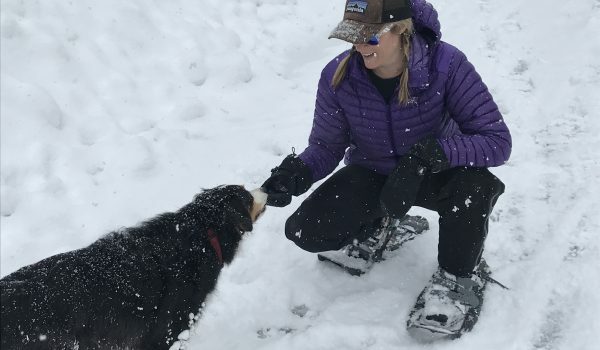 If you need something to stay all winter in your avy pack, then look for something that can layer and pack well. And yes, you’re options are many in that respect as well. Arguably the most beneficial characteristic of these coat types is the weight-to-warmth ratio. 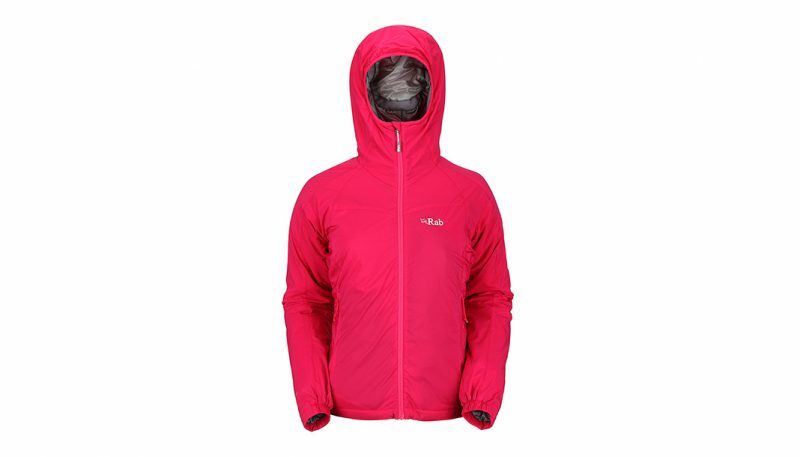 Most of these jackets weigh well under a pound, allowing insulation to do its job without compromising pack weight. 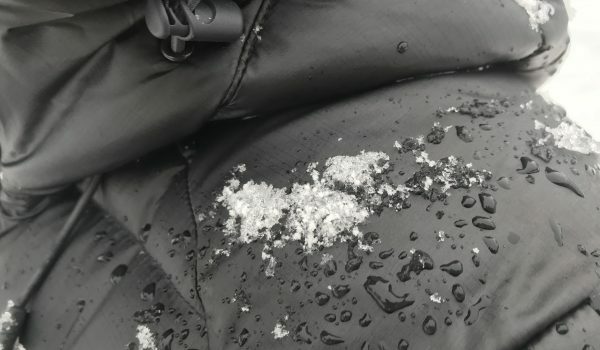 A common feature to lightweight insulated jackets is the “stuff pocket,” or a designated pocket into which the jacket can be packed. 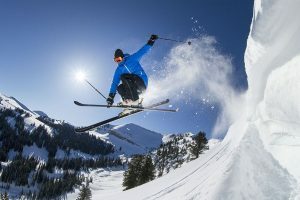 It’s not always easy to pack away a jacket in its stuff pocket, there’s a lot of forceful pushing and jamming, and its possible to put more wear and tear on the coat, specifically the zipper, by doing so. 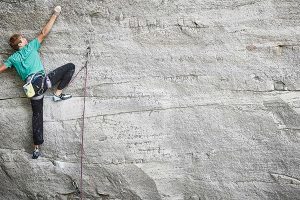 However, climbers relish in such convenience, especially during nights spent on cliff faces and longer-than-expected belays. Others provide a stuff sack to store the jacket. Some don’t provide either. Other features you’ll find include hem adjustment drawcords that help seal the coat around the hips, internal stash pockets, headphone cable ports, high-zip collars, fleece-lined chin guards, and helmet compatible, drawcord hoods. 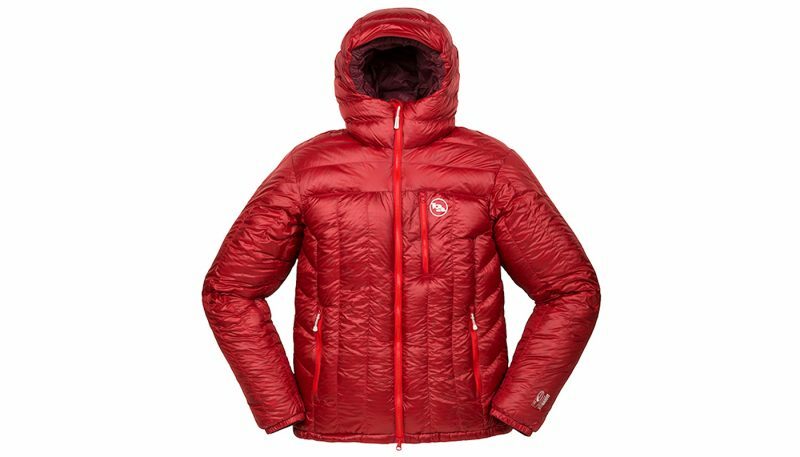 Speaking of which, many insulated jacket manufacturers allow consumers to choose hooded or non-hooded versions of the same model. 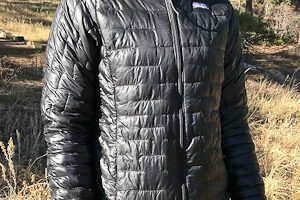 It’s common to find the word, “hoody” attached to a coat’s name, such Patagonia’s Down Sweater vs. Down Sweater Hoody. 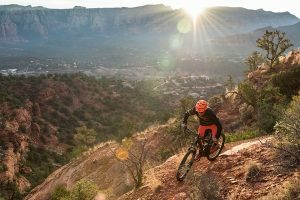 Don’t let the category name “lightweight” fool you, many of these products are incredibly warm, durable, and technical. These jackets are often the ideal insulating layer over a thin or midweight base layer and below a hard or soft shell exterior. 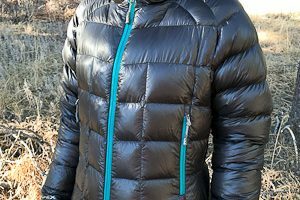 They’re versatile as outer layers when it’s clear or lightly snowing or an extra bit of bed warmth when the temp drops a bit below your bag’s rating.